The third step in preparation for a flooding emergency involves constructing flood barriers or shields around individual pieces of equipment or areas that contain essential equipment to prevent floodwaters from coming into contact with them. For dry flood proofing to be effective, the barrier must be high enough to protect essential equipment from floodwater, strong enough to resist flood forces, and sealed well enough to control leakage and infiltration. 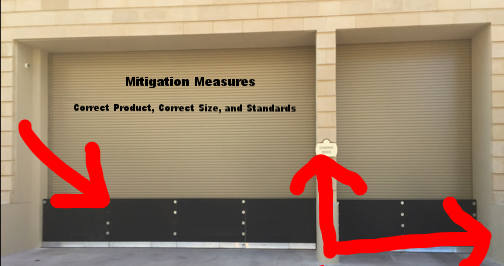 Dry flood proofing measures must also satisfy applicable codes and standards. There are many different types of dry flood proofing measures, one, which includes the use of a flood panel. 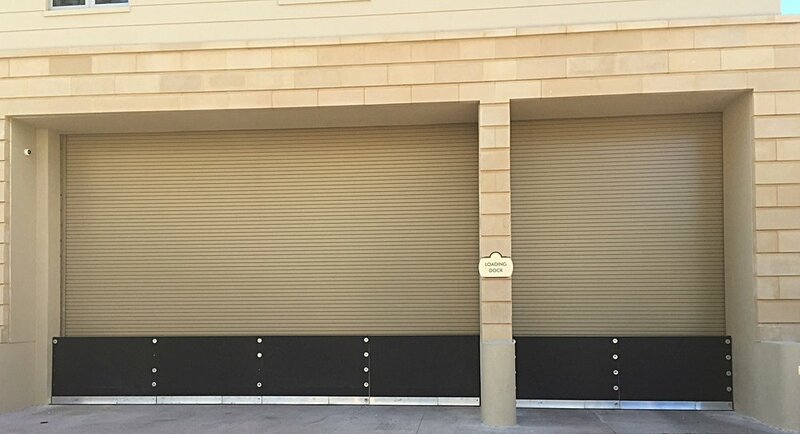 There are many different types of flood panels on the market. Make sure you choose a panel that is lightweight, cost effective, and corrosion resistant, and meets the recommended codes and requirements. It is important that the panel is tested properly for assurance and durability, and is of adequate height and length, in accordance with your flood assessment. Besides flood panels, you can purchase flood barriers, floodgates, flood sacks, flood bags, and you can even flood proof your walls. As with the flood panels, make sure each product is both saltwater and freshwater friendly, adheres to adequate codes and standards, and is the correct width and height for your proposed area. Be prepared this hurricane season. Understand your risk with a vulnerability assessment. Flooding is devastating and is becoming a larger threat each year. With global warming, different weather patterns, and inaccuracy of flood maps, we must have a set plan in place to prepare for Mother Nature’s most common disaster. There are 5 steps that will help you to prepare. The first step begins with determining your flooding risk. Your community officials or local emergency management offices are a great resource to learn about the history of flooding for your region. Ask whether your property is in the floodplain and if it is above or below the flood stage water level. Flood Insurance Rate Maps (FIRMs) are what are used to determine your flood risk. If these have proved inaccurate in the past, or you feel the flood insurance is higher than expected for your given area, make sure to contact a highly trained company who specializes in flood prevention assessment and flood map modeling. Flood risk assessments are available to show you historical flooding on your property and information about flooding in a 100-year storm. If you are building or own a commercial property, more in-depth assessments are available to show you modeling in a 1-5 hurricane and storm surge for each year, along with a detailed report assessing your flooding risks. Flood Risk America has spent these past few months traveling around the country speaking to many victims of the recent flooding disasters from Harvey, Irma, and Sandy. We first traveled to Texas and met with the Houston victims, we even went to Galveston, who suffered a loss from the 1900 Great Galveston Storm, which was one of the deadliest storms of its time. We traveled to parts of New Jersey and New York, from the tip of the Florida Keys, Miami, and up each side of the coast. We covered both west and east, spending time in Naples and Marco Island, all the way up to Jacksonville and the panhandle. The stories and pictures that everyone has shared have been both amazing and life changing. It has brought us even more incentive to help as many of these people as we possibly can, not allowing this damage to happen again. Glass falling from the ceilings of buildings and crashing in destruction, water levels reaching so high, covering an entire bottom story, people holding their doors down so they don’t blow off, and countless amounts of visible water lines showing on the existing wall structures that are lucky to still be standing, these were just a few of the memories and stories that were shared. Flood Risk America is a proactive flood protection company, specializing in both products and services. We believe that by traveling to all of these places, we were able to best understand our clients on a personal level, reliving with them their experience and memories. Not only do we want to help save more people from this deadly disaster of Mother Nature, but we have also created a 5 series discussion on emergency flood protection. Each week we will release a new article on our online blog relating to interventions before, during, and after a storm to prepare for the upcoming hurricane season. 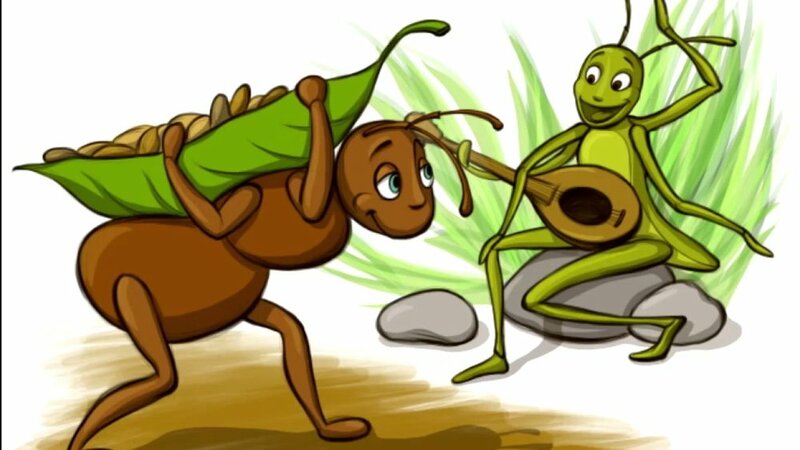 We are all familiar with Aesop’s fable of the ant and the grasshopper. The grasshopper spent the whole summer lying around in the shade, while the ant prepared for winter. The grasshopper had decided that there would be plenty of food left around for winter, as most winters he had found that food was not sparing. This particular winter happened to be worse than others, and the grasshopper was definitely not prepared, but the ant was. This is how Flood Risk America feels about hurricane season. Although it is winter, and we have cold weather and shoveling snow, instead of water on our mind, it’s best to prepare early, especially in coastal or flood prone areas. 2017 was a hard year for a large portion of the United States; FEMA had been backed up for months with the amount of flood claims and damage. 2018 has been predicted to exceed what we felt was our worst year. Many claims are still being handled, but many people are still in the mindset of the grasshopper. Let Flood Risk America help you understand your options when it comes to flood protection and mitigation assistance. We tend to lean on the favor of the ant, helping our clients prepare before a loss occurs. With our 24/7 flood deployment team, durable, corrosion-resistant flood panels, American-made products, flood consulting services, and team of experienced flood mitigation professionals, we will guide you in the right direction to not only protect your property from flooding, but we will save you money on your flood insurance premiums and deductibles. EZ FLOOD PANELS SAVE NATIONAL REAL ESTATE DEVELOPER $93,000 ON THEIR FLOOD INSURANCE PREMIUMS. Flood Risk America leveraged their specialized team of engineers to perform a flood risk assessment on the client’s property and collaborated with their flood insurance carrier to save them $93,000 by installing the EZ Flood Panel on their building. The EZ Flood Panel is the Only flood panel that is certified to provide flood insurance credits. If you are paying high flood insurance premiums and have high flood deductibles, take the opportunity to have Flood Risk America perform a flood risk assessment on your properties to help reduce your flood insurance rates, while protecting your property from having a flood loss. Flood Risk America has designed a new flood mitigation product called the EZ Flood Panel. It uses patented, sustainable flood seal technology to protect elevators, windows, control room doors, and lobbies against rising floodwater. This device creates a sealed barrier around the desired subject, preventing water from entering. Each panel is designed specifically for a customized fabrication to meet individual installation requirements and custom shaping and contouring to meet job specific demands. It is both easy to install and remove, taking less than ten minutes. The EZ Flood Panel is durable, lightweight, corrosion resistant, cost-effective, and designed to withstand more than 13,000 PSI, unlike anything else in the industry. It was developed with technology utilized in aerospace, marine, transportation, and can withstand harsh saltwater environments. The EZ Flood Panel will work on new construction site properties or existing structures. It has been rigorously tested, comes with a guaranteed lifetime warranty, environmentally friendly, and is made in the United States. Flood Risk America is proud to announce that it is the Only insurance certified flood protection panel in the market. Flood Risk America (FRA) is a proactive Flood Risk Management company specializing in thorough evaluation and reporting of flood risks throughout the United States and Canada. This training program emphasizes the conceptual elements of flooding, how to prevent, mitigate, prepare, and recover from an emergency flooding situation. Some of the goals of this new state accredited program is listed below. By creating this Flood Mitigation Training Program, we hope to encourage the safety and education of the potential of a flooding emergency and to better prepare individuals for natural disasters such as hurricanes and the flooding effects associated with them. Flooding has been a concern for many people across the United States. Flood Risk America has decided to launch a new program to help clients become more aware of their flooding risks. Nationwide, 11,000 repetitive loss properties dot coastal zones or other low-lying areas with their numbers continuingly increasing. This rise is in part because of the effects of climate change and ongoing development. Flood Risk America is a company dedicated to decreasing these numbers. Company Finds way to Save Companies Money, Without Having Them Spend Out-of-Pocket For Their Services. The mission of the company is to keep clients happy and to not only save them money on their flood premiums and deductibles, but to provide that service free of charge. Stephen Gill, Partner and CEO of Flood Risk America & Flood Risk Canada, announced today that they would launch their new Flood Insurance Program at the Golf Course Industry Show in Orlando, Florida on February 8, 2017. Flood Risk America and it’s sister company, Flood Risk Canada will have a booth set up to explain the benefits and terms of conditions related to their new program. A few months back, golf course owners and superintendents contacted Stephen Gill and told him of the problem they were facing regarding the inability to obtain flood insurance on their bunkers and greens, also they included the amount of business they were losing from flood damage on their courses. Stephen, along with his team of engineers and flood plain managers, began a thorough flood risk assessment on the various surrounding golf courses, pointing out the different areas of the courses that were at risk of flooding. “Not only can we do a flood risk assessment, but we can prevent flooding, water damage, and loss of business with our new products,” said Stephen Gill. Flood Risk America & Flood Risk Canada service locations all across North America and solve flood problems in a multitude of industries. With one of their businesses located in sunny Florida, the golf industry for flood risk hits home for them. “Our clients are the most important aspect of our job, when they contact us regarding a problem, we want to find them a solution, and in this we take great pride,” said Tiffany Largey, Partner and COO. We spend our whole lives searching for the perfect house, the perfect relationship, the perfect job, that we forget about the most important part of life… living. Living in the moment, experiencing the present, understanding our purpose is already within us, but finding that which we already hold in our hearts. This seems like a pretty easy concept, right? Unfortunately, to become successful in life and in business, this is one of the hardest ideals to learn. Success is first created in our mind, and then followed by our footsteps. The real search should be for our true passion, because once that is found; everything else will begin to follow. Tony Robin's famous quote on success is, “ The path to success is to take massive determined action.” We can agree that success in both life and business will not happen if we don’t make strides in the right direction, but can we also agree that happiness may not be present if we don’t first find it within ourselves? How do we do that? 1. We get dirty. We open ourselves to the things in life that are holding us back from creating what we were made to do. We face our fears. Maybe our lack of success comes from the fear of failure, if this is the case, we must first find healing within. 2. We love. We forgive not only the people around us, but ourselves. We stop judging, condemning, and harboring unresolved feelings and spend time finding what makes us, and the people around us truly happy. 3. We communicate. We pray, meditate, write, journal, or whatever is in your practice, to establish healing and direction. This healing may not just be centered on you, but everyone around you, including co-workers, friends, family, and anyone else that crosses your path. 4. We have faith. We understand that if we are living and working based on our life’s passion, success will soon follow. I posted this picture of my business partner and I to not only represent the passion we have behind our company, but to help enlighten more souls. We are in this giant bathtub cleaning life’s most soulful animal, yet in a sense we are cleansing ourselves. We are working as a team, learning new cultures, and not only enjoying the journey of life, but the ride. At Flood Risk America and Flood Risk Canada, we are here to keep you dry, not only from flooding, but from life’s downpour. Let us help you secure your passion. "The real search should be for our true passion, because once it is found; everything else will begin to follow. " Golf is a prestigious sport loved by many people across the world. With the contributing factors of its relaxing atmosphere, beautiful courses, perfectly set grass, and small bodies of water, golf is a sport that can heavily rely on the consequences of Mother Nature. If a golf course floods, golfers have to choose another course to play and in return, golf course owners lose money and potential clients. “Golf course owners contacted us regarding the inability to obtain flood insurance on their greens and bunkers. They explained the cost of damages they were facing regarding flooding damages, and what could be done to prevent them, so we came up with a solution,” said Stephen Gill, CEO of Flood Risk America & Flood Risk Canada. Flood Risk America and Flood Risk Canada are sister companies that specialize in flood assessment and mitigation techniques. Stephen Gill, along with his business partner, Tiffany Largey were determined to find a solution to keep golf courses from flooding, golf course owners happy, and golfers still playing their beloved sport. They created a detailed assessment of every green and bunker, including the clubhouse and any other structure lying within the perimeters of each course. From this flood risk assessment, they found which areas would have the potential risk of flooding and then devised an individualized flood plan for each golf course. “We share the same type of excitement people acquire when they play golf and feel that we have hit our hole-in-one with this concept. We are truly excited to help many golf course owners maintain their business and golfers to continue improving their game,” Tiffany Largey, Partner and COO.